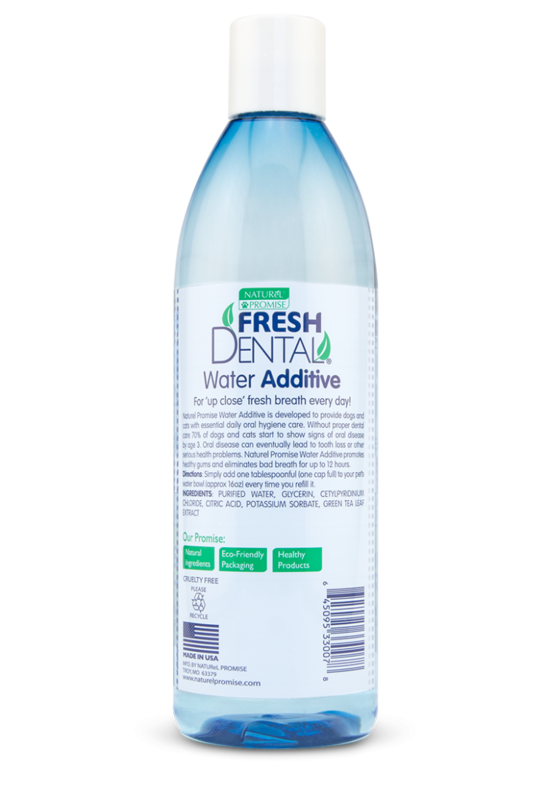 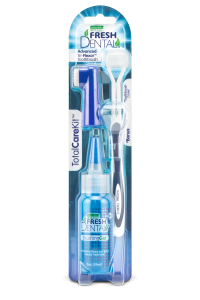 Fresh Dental Water Additive is made with natural ingredients you can trust! 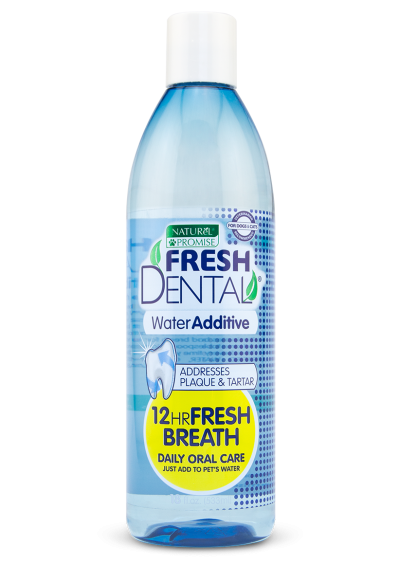 Fresh Dental Water Additive features natural ingredients that help clean the pet’s teeth and freshen their stinky dog breath with no-brushing required. Just add one capful of Fresh Dental Water Additive into their water bowl each time you refill it for up to 12 hours of fresh breath. 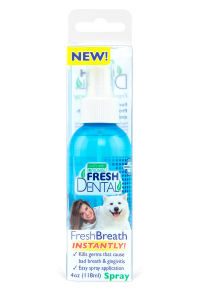 Fresh Dental Water Additive promotes healthy gums and eliminates bad breath providing dogs and cats with essential daily oral hygiene care. 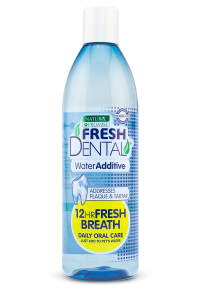 Purified Water, Glycerin, Cetylpyridinium Chloride, Citric Acid, Potassium Sorbate, Green Tea Leaf Extract. 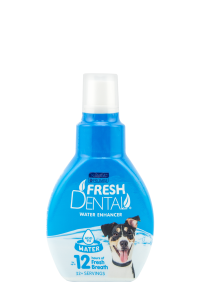 Simply add one tablespoonful (one cap full) to your pet’s water bowl (approx 16 oz) every time you refill it.